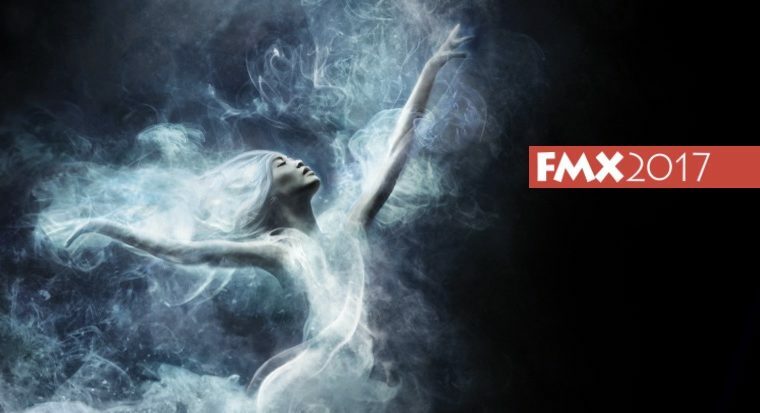 In just over a week, fxguide will be at FMX in Germany. To help those of you going, we spoke to Executive Director Jean-Michel Blottiere about what was on the program this year and especially what gems you may not have heard about. FMX is one of fxguide's favourite conferences. If you can make it, both John and Mike will be there and they would love to see you to say hello or have a beer! FMX is held May 02-05, Stuttgart, Germany. It really is a brilliant chance to meet the world's best minds and hear detailed discussions on a wide range of visual effects and animation, "beyond just the screen". Digital Humans Forum that fxguide's Mike Seymour is curating with talks by Hao Li (Pinscreen Inc. Founder and Director of the Vision and Graphics Lab at the USC Institute for Creative Technologies). Also speaking is Kiran Bhat. Bhat just won the Scientific and Technical Academy Award for his work at Industrial Light & Magic and now deals with the conversion of selfies into expressive 3D avatars at Loom.ai. Weta Digital's Head of Technology and Research, Luca Fascione, explores What It Means To Be Human. Fascione, explores the range of disciplines it takes to put a believable human on screen. Beginning with his work on the FACETS facial solver technology (winner of a 2017 Academy SciTech award) Luca will highlight key areas of Weta Digital’s workflow that come together to deliver a holistic approach to digital characters. This wide-ranging talk makes the case for the unified research and development vision that is essential to this type of work. This year, FMX will present it's very first series of talks on Automotive. Bringing together industry heavyweights such as Audi AG, Google, McLaren, Renault-Nissan, Mackevision, 3DEXCITE, AImotive, Burrows, IGNYTE and REWIND, the track will focus on the automotive industries and their innovative use of real-time technology. 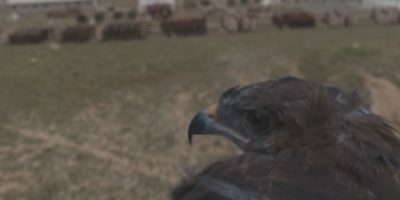 Those who missed the presentation of The Mill and Epic Games' Mill BLACKBIRD at GDC in early March, should definitely visit FMX since the Mill BLACKBIRD is going to be in the spotlight again. The fully adjustable car rig that can be modified in length and width as well as programmed to replicate the driving characteristics of any car. Other highlights: the upcoming Cars 3, which FMX will highlight more than a month before its official US release, as well as fascinating VR experiences that were created for Audi and Jaguar. Moreover, FMX will host an exclusive dinner at the prestigious Porsche Museum in Stuttgart for the very first time. One of the key VFX case studies is Luc Besson's Valerian and the City of a Thousand Planets which will be discussed a full two months before its official release. The adaptation based on the ground-breaking comic book series Valérian et Laureline is the visually spectacular new adventure film from Luc Besson, the legendary director of The Fifth Element. VFX Supervisor Scott Stokdyk, Martin Hill (Weta Digital) as well as Philippe Rebours (Industrial Light & Magic) and François Dumoulin (RodeoFX) will zoom in on this fabulous universe in a two-hour presentation, showcasing images that have not yet been revealed to the public. Alessandro Cioffi (Trixter), Guy Williams (Weta Digital), Paul Butterworth (Animal Logic) and Arslan Elver (Framestore) will share some fascinating insights into the making of Guardians of the Galaxy Vol. 2, taking the FMX audiences through their VFX journey as they created some of the movie's most heart-stopping moments. A special showing of the movie rounds off the marvelous experience. TIP: Tickets for the screening are limited, so get your free ticket (with your FMX badge) at the info counter at FMX, starting at 3pm on Wednesday, May 3rd! John Knoll (Industrial Light & Magic), Chief Creative Officer & Rogue One Visual Effects Supervisor & Executive Producer, contributes a case study on the challenges of making Rogue One: A Star Wars Story, from concept to post production. Knoll will also team up with Margaux Durand-Rival (The Third Floor) to explicate the collaboration between ILM and The Third Floor and director Gareth Edwards that brought the movie to life. The film's concepts will also become the focus of Christian Alzmann's (Industrial Light & Magic) presentation, as well as art work for Star Wars: The Force Awakens.